Great services for great cars. 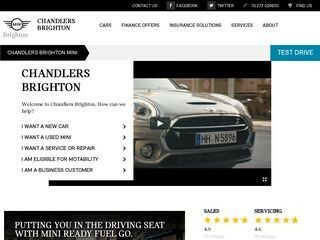 Tim on the service desk is particularly helpful - I have my MINI serviced here and I can drop the car off after work and pick it up in the morning whilst it’s serviced and cleaned overnight! Excellent service! When the 'new style' Mini's come out I was unsure but they have grown on me over time and the price of them is more realistic than ever before! Under £180 a month I have myself a 5 door model...and love it. Found the guys and girls here very pleasant to deal with and loved the fact they made sure the car was right for me before I committed.